Real talk: We have gone to a workout class solely to utilize the showers after. We like free hair products, okay. But of course, not all locker rooms are created equal. Here, we break down the cream of the amenities crop, so you can plan your workout and subsequent pampering session accordingly. 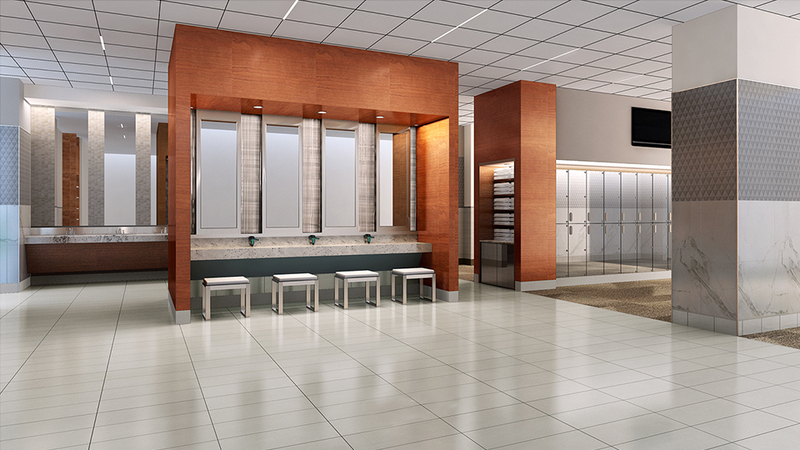 Vital Fitness Studio really went the extra mile with their full service locker room. 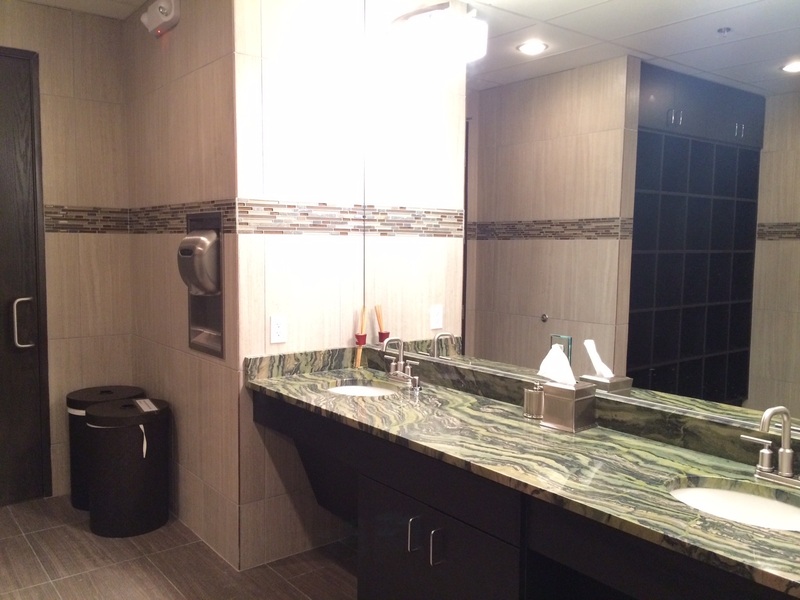 Both men and women’s locker rooms come with free digital key pad lockers, Niven Morgan luxury products in the showers and spa, towel service, eucalyptus towels, and to-go sweat bags. Headed to work after a morning sweat session? They have all the necessities to get ready for the day. The amenities at Cowboys Fit are as vast its three-story, 60,000 square-foot facility in Frisco. In addition to a rooftop pool, training by former NFL players and cheerleaders, and a health and nutrition bar, members have access to a recovery lounge, which features cryotherapy machines, NormaTec pulse recovery, and HydroMassages, plus a sauna and showers equipped with Jack Black products. SoulCycle has an open concept locker room with free keyless entry lockers, sweat bags for sweaty clothes after class, and all the toiletries you could ever need – face wash, body wash, shampoo, conditioner, dry shampoo, and much more. 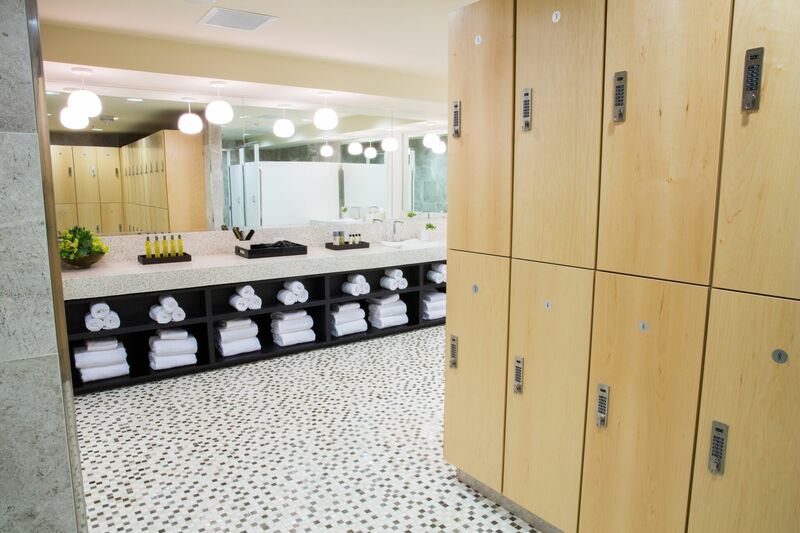 At Equinox, a tough workout gets rewarded with luxe amenities like Kiehl’s hair and skin care products in all locker rooms and legendary chilled eucalyptus towels for all your sweat and beauty needs. The locker rooms at Gaia Flow Yoga continue the theme of peace and love. With a spacious room that has a relaxed feel to get ready in the inner peace you experience during class will follow you to the locker room. 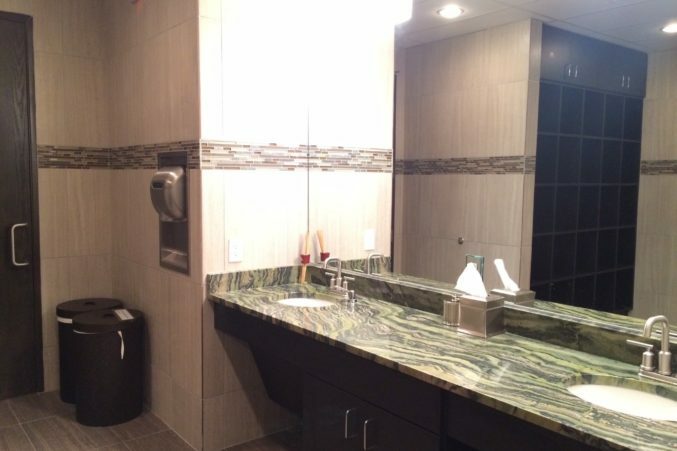 Showers include shampoo, conditioner, and body wash.
At Telos, you can expect everything you could ever want in a full service locker room. 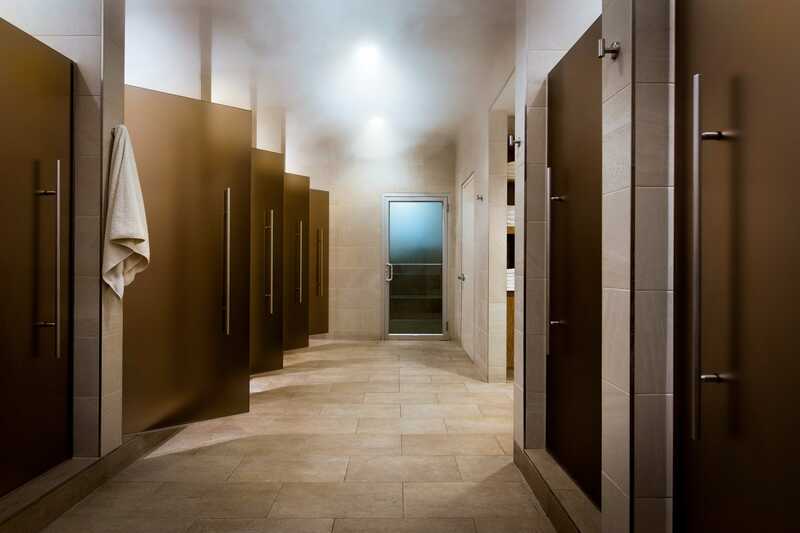 The locker room includes rain fall shower heads, full-length daily lockers, lemon water, a dry sauna, steam rooms, whirlpool and private jacuzzi tubs, and a cold plunge tub to help soothe sore muscles. The women’s locker room has an added bonus: three clawfoot jacuzzi tubs.